I’ve heard a lot of great things about Austin so I was really pleased when a friend organised a trip there for three of us. We rented out an apartment on www.vrbo.com close to 10th street for three nights. I was able to book return bus tickets from Dallas to Austin on www.megabus.com for a mere $4.50. Before we got there, we had recommendations coming out of our ears for all the great places to eat and drink at. It was pretty easy to find places near the apartment and also by going to the popular areas like 6th Street and Rainey Street. This street is lined with bars and some restaurants. We started the evening at Coyote Ugly, a classic dive bar with the addition of ladies dancing on the bar who were mildly abusing men, who volunteered to be abused. It was amusing to watch. Good bar with a good feel. After a few drinks here, we headed down the street and found Pete’s Dueling Piano bar. This was loads of fun with a playoff between various musicians. Music included Backstreet Boys and some good old rap on piano. The atmosphere in here was great. We drank a lot here… and the rest of the night is lacking a bit of details! However, when we headed out the street was alive, there were lots of food stands and plenty of bars to visit. We took Uber to Rainey Street and ended up in a fun bar called Unbarlievable. There was a big slide in the back as well people practicing with hula hoops. Food was also pretty tasty and they had cool live music. There are more bars and restaurants along this street, we did pop into some. I love that day drinking was completely normal and expected. It has a more mature vibe than 6th street. Both were awesome and they’re both worth a visit. I always love a good free walking tour and my friend found this Tipster tour that started at the Capitol. No need to sign up in advance and you can leave a tip of your choice. Our tour guide was very friendly and knowledgeable. She covered a lot of the Austin history. I was surprised that the tour didn’t include any fun stuff like the nightlife, but fortunately my friends and I already had that covered. The tour was a good little walk in the centre of Austin and it was nice to see something other than bars! We did see some cool street art, including this lovely picture of Matthew McConaughey! We ate very well throughout the trip. Plenty of bbq meat from food trucks and restaurants. I was happy to check out the restaurant connected to one of my favourite meat marinade brands. Stubb’s BBQ was nice and busy. The food was good and meaty. The service was a little slow, but the food was tasty so they are forgiven. We found this using Google maps as it was close to where the walking tour ended. Gloria’s Latin Cuisine turned out to be a lovely little find. A classy restaurant with really great drink prices, including $2 mimosas! My friend even asked the waitress if it was a typo. It wasn’t… so we had a few. The margaritas were also tasty, as well as the food. We were inspired to have breakfast here after hearing that it’s owned by actress Sandra Bullock. Walton’s Fancy and Staple is a really lovely quaint cafe-style restaurant, that also sells plants and flowers. I had the breakfast dish with eggs, toast and bacon that was tasty and filling. The mocha latter was pretty good too. We were all satisfied. This was recommended to us and seems to be an iconic place. The line was huge when we got there on Sunday afternoon. We got a few different doughnuts between us, and I have to be honest, we were pretty underwhelmed. The doughnuts were very dry, bready and stodgy, there wasn’t really anything special about them. Fortunately they weren’t stupidly expensive, so we survived the disappointment. I’d say Voodoo doughnuts is pretty overhyped, but if you just want a doughnut with no expectations, then go ahead and join the line! We all had a great time in Austin and I’d be happy to go back in a heartbeat. Getting around was really quick and easy (and cheap) by Uber, or if you felt like it there were plenty of electric scooters everywhere you looked. People were friendly and there was a really good vibe there. Food and drink was easy to find and there are plenty of places to explore. A great place to visit and hang out with friends! I went to Amsterdam a number of years ago and I always intended to go back. I was glad when the opportunity came up to go again with a few friends. It was quite simple to get into the city from Amsterdam airport. We took a €6 train into Centraal, then took a taxi to our accommodation, which cost about €35 in total. The other option would be to take the tram from Centraal that costs about €3 per person. For this trip, we decided to stay in an Airbnb property. There were four of us travelling for four nights, so we stayed in a 2 bedroom apartment close to the centre. It was great to have a kitchen, dining table and shared living room for us to hang out in. So much to do in Amsterdam! High on the to-do list was a canal tour. Amsterdam has loads of pretty and picturesque canals, so we joined the Blue Boat Canal Cruise for €18. We were able to buy tickets on the day. It lasts about 75 minutes and everyone got headphones to listen to the pre-recorded tour information in their chosen language. It was also fully covered and heated, so no need to worry about the weather. As we purchased our tickets for the Rijks Museum from the canal cruise company, we got to pay €15 rather than the usual €17.50 per ticket. I was really impressed with this museum, there was such a huge range of things to see – from Rembrandt paintings to pocket snuff boxes! I’m a big fan of the Sandemans free walking tours. I booked us spots for a morning tour that started near the Royal Palace. It was a good way to check out the city on foot and learn about Amsterdam’s history. We covered the National Monument, the red light district, Anne Frank’s house and more. 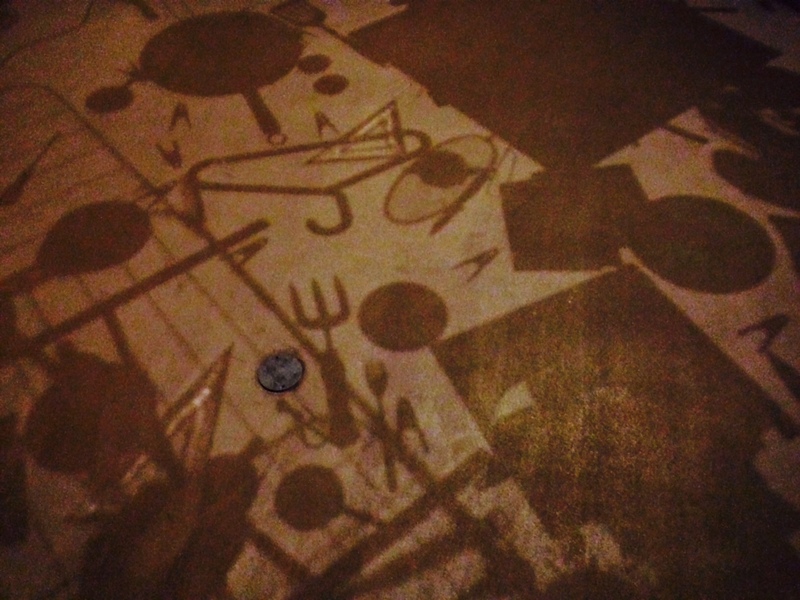 As with all of these free tours, you leave a tip at the end for your guide – however much you feel is reasonable. I’d already visited Anne Frank’s house on my last trip. My friends hadn’t been before, but unfortunately they weren’t able to get tickets! Tickets were temporarily available online only at that time, and it was already fully booked. If you’re interested in going, definitely look into booking tickets online as soon as you can. Food in Amsterdam was really amazing. There’s a lot of Asian influences and international food is available everywhere. Here are some of my favourite places that we went to. Luckily this Food Hall was just around the corner from where we were staying. There was a lot of variety in the food available. I went for the Vietnamese noodles, which was really tasty. Here is the Trip advisor page. This is a very low key cafe style restaurant with great food and even greater food portions! 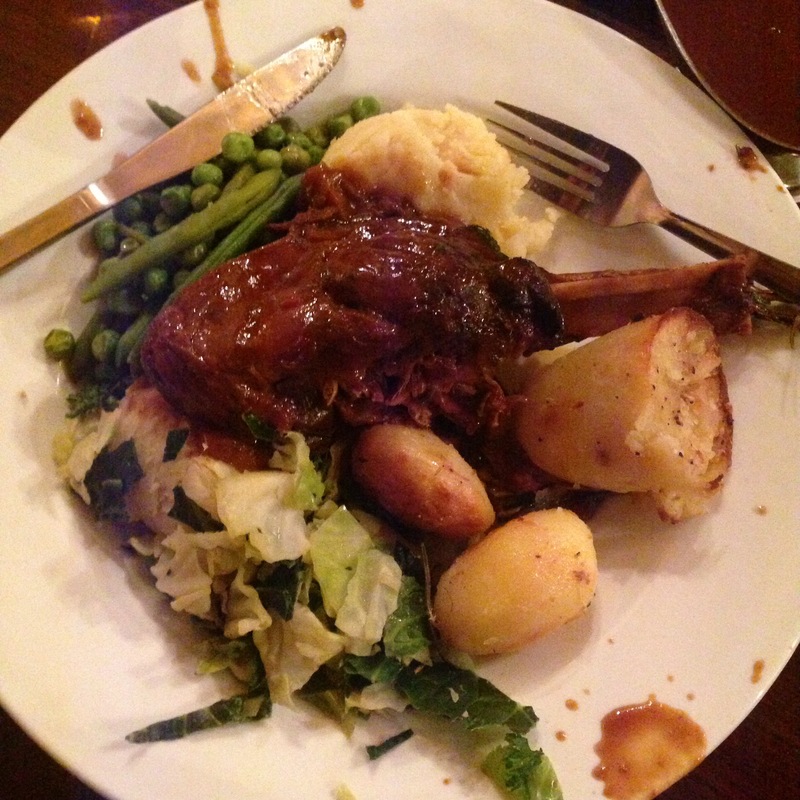 It was on the cheap and cheerful side, and we were all satisfied with our meal. There was a flower market just across the road too, which we investigated after lunch. Here is the Trip advisor page. This restaurant was recommended to us by our Airbnb contact for actual Dutch food, since we were enjoying so much Asian food! It’s a nice restaurant near the central area. Turns out Dutch food is quite hearty! My pea and bacon soup was really nice and we all had some version of ‘stamppot’ that includes mashed potato and meat. It was really good. Here is the Trip advisor page. I’m really sad I didn’t make it to this restaurant because it looks amazing. Fortunately, my friend did bring me some Dutch pancakes (poffertjes) with Nutella and strawberries for me to eat. They were so yummy. Dutch pancakes are like little mini pancakes, that are delicious with Nutella! Here is the Trip advisor page. This was a recommendation from the tour guide, and I have to say it was a disappointment after the De Vier pancakes. The restaurant itself is small and cosy, the disappointment was that the ‘chocolate sauce’ was not Nutella. It was some generic dark chocolate sauce, which just didn’t taste as good! I’d recommend the De Vier bakery if you get a choice, unless you don’t care for Nutella. Here is the Trip advisor page. I had a really great time in Amsterdam. There’s something very chilled out about it, people are very friendly, it’s easy to get around by tram and the food is great. In fact, I think I’ll go back again one day. Dublin! A memorable trip to Ireland. I remember going to Dublin many years ago, but I can’t remember a single thing about what I did there. I do remember that I enjoyed it very much, so I was happy to join a couple of friends for a 5-night trip. Flights were a mere £40 return from London Gatwick by Ryanair. We took a taxi from the airport which came to around €40 to Jury’s Inn hotel on Parnell street. This was a really wonderful hotel with excellent and friendly staff. Our room wasn’t huge, but still very comfortable and the occasional biscuits near reception were often appreciated. Breakfast was very adequate, with wonderful cooked options as well as cereals, bread and pain au chocolat. We took it easy in the afternoon. We had a little wander around and were thrilled to discover we were right next to China Town! Our hotel receptionist had recommended a Korean restaurant called Kimchi and we were very impressed. 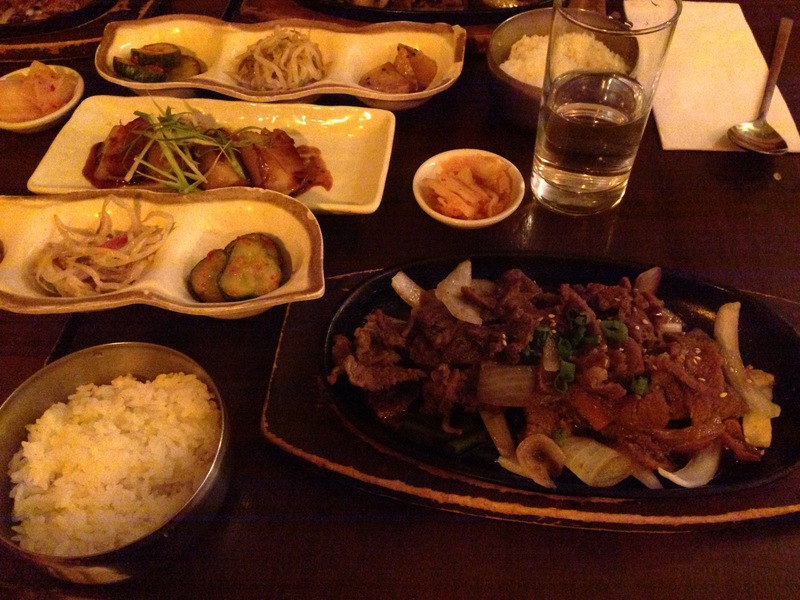 I had the beef bulgogi, which I’d happily eat again any day. After breakfast, we walked to the Celtic whiskey shop on Dawson street which was recommended by our friendly taxi driver who’d dropped us off at the hotel the day before. By this point, it was clear that Irish people are significantly friendlier than Londoners, and the shop staff were no exception. 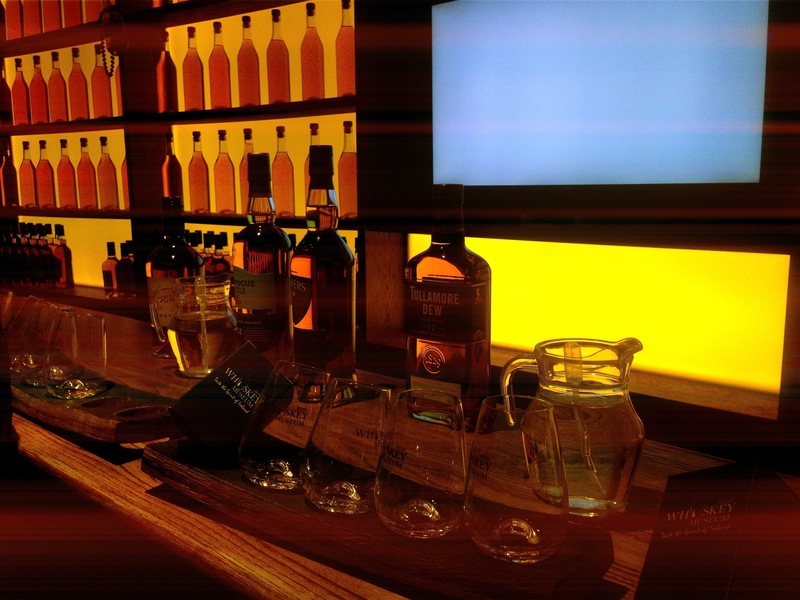 We were given some free whiskey samples, including Teeling and Tullamore Dew. One of my friends even got a hug from Dave, he was happy to oblige! We had lunch at a French restaurant called Chez Max near Dublin Castle. This is a nice restaurant with French staff. I did enjoy my moules frites, despite the slight feeling of paranoia that maybe they weren’t fresh or cooked properly. This is no fault of the restaurant – it just happens to be a slight phobia of mine that I decided to face that day. After lunch, we joined a free walking tour with Sandemans. I’ve been on a few of the Sandeman tours in Europe and would highly recommend them. There were about 15 tourists or so and Lisa was a great tour guide. We walked at a very leisurely pace around Dublin Castle, the Chester Beatty Library, Christ Church Cathedral and through the Temple Bar area. She gave a lot of handy tips, like don’t drink (too much) in the Temple Bar area as it may cost you an arm and a leg. Having walked past it the day before, we returned to the Chester Beatty Library as it sounded so amazing. It’s free to enter, and a real treasure trove of history, especially the religions section. It was also very factual and unbiased. We had lunch at the Queen of Tarts. I wasn’t too impressed with my over priced (but tasty) sausage roll. The blueberry scone was ok. I think this place is better as an afternoon cake stop than lunch. We made a quick stop at Christ Church Cathedral where we paid €6 to see the crypts and the famous mummified cat and rat. 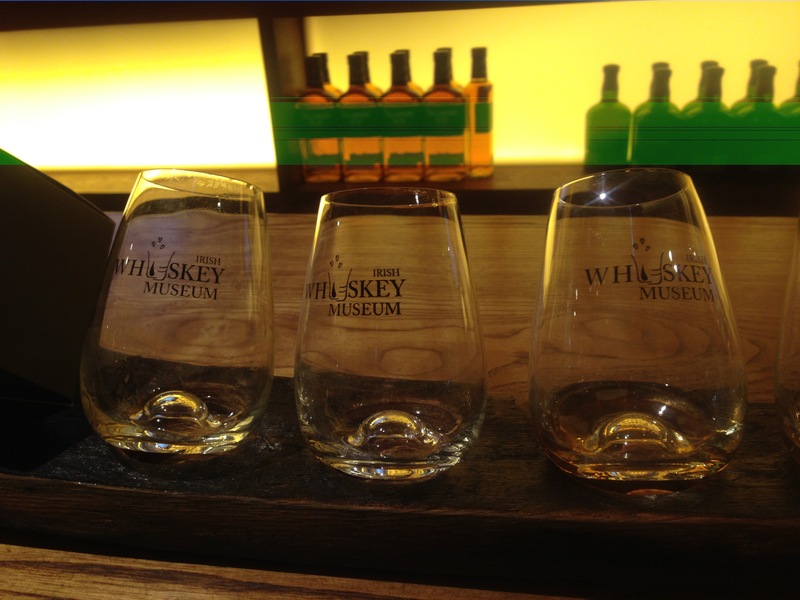 Sadly, the Old Jameson Distillery was closed at the time of my visit, so we visited the Whiskey Museum for the VIP tour that cost €17 with a discount from the Sandeman tour. It was a short experience and felt over priced. I felt a little conned, especially after the free and friendly service at the Celtic Whiskey Shop. The VIP option included a 4th shot and a cute shot glass to take home. I wouldn’t recommend this tour, unless you like over-priced touristy attractions. 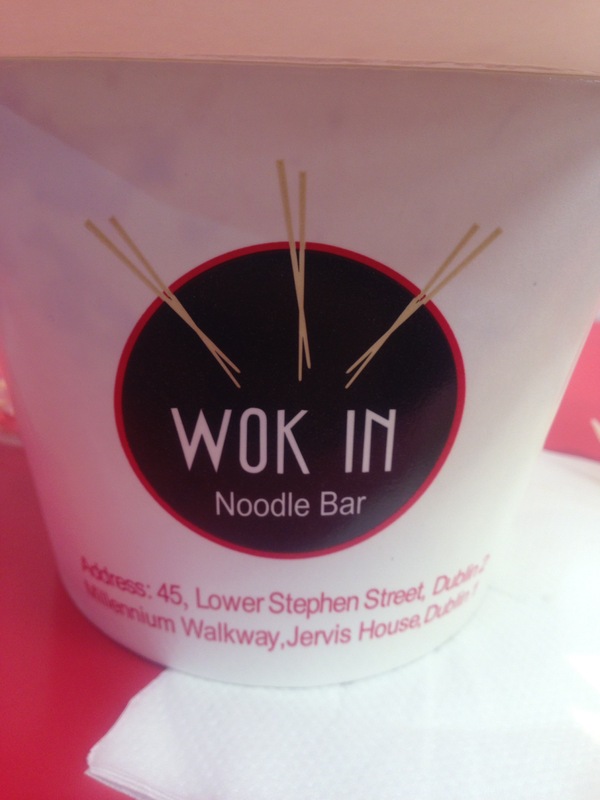 Dinner was at Wok Inn, a small unpretentious ‘restaurant’ with minimal seating and food served in cartons. It’s almost a take away. I thought it would be cheap and crap, but it was a surprisingly tasty green chicken curry that I thoroughly enjoyed. A classic case of ‘don’t judge a book by its cover’. This is definitely good for a quick dinner. We joined the €12 Sandemans Pub crawl in the evening, which started at 7.30pm at the Workman’s club. It included a free half pint of cider, Heineken or Guinness at the first bar, as well as offers at each of the bars on the crawl. There was a nice and friendly crowd throughout the evening. We enjoyed many drinks at a few of the bars and left early to enjoy a drink back at our hotel bar. A little rough around the edges after drinks. 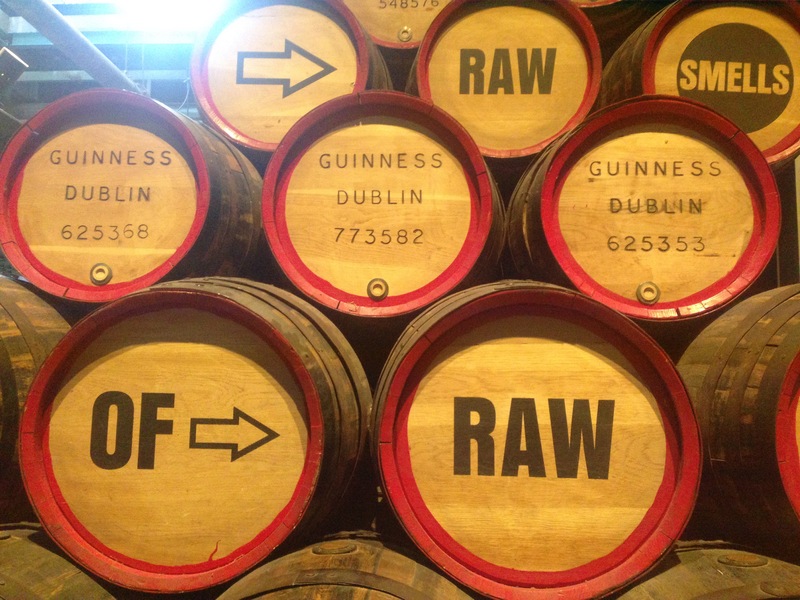 Change of plan – the visit to the Guinness Storehouse took place in the afternoon instead of the morning! After a lie-in, we had lunch at Madigans O’Connell Street. I really enjoyed the bacon, cabbage and mash dish, very filling. The staff were so friendly and we enjoyed some ‘craic’ (banter) with our meal. We walked to the Guinness Storehouse, which took about 30 minutes (later realised that the tram might have been easier). 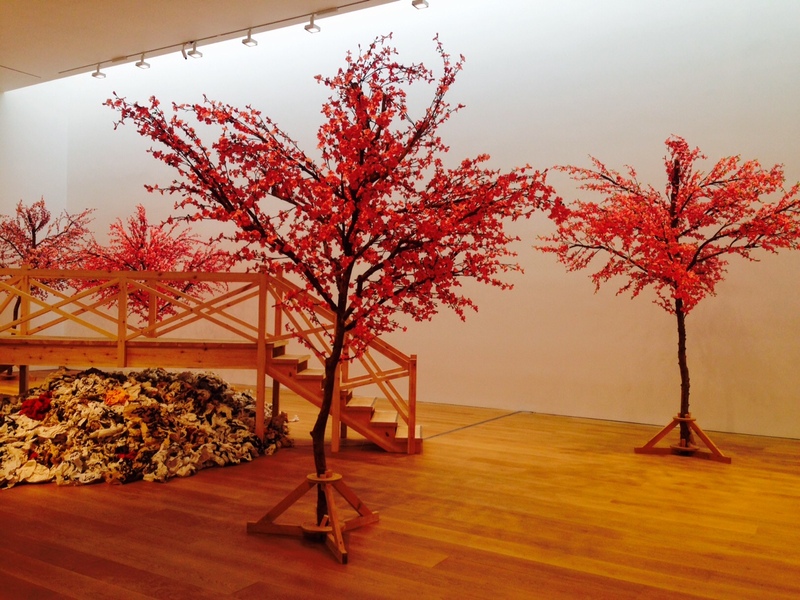 It’s quite a substantial ‘museum’ – there’s no tour as such, but a lot to see and walk around. The tasting session was really cool, and included a mini serving of Guinness. This was really appreciated as I did want to have some Guinness but wasn’t sure I could stomach even a half pint of it. The tasting was enough for me. Entry actually includes a free drink, such as a pint of Guinness, at the Gravity bar with amazing 360 views. There weren’t many seats available so we ended up sitting downstairs at the regular bar instead, with our glasses of Fanta. One of my friends carried out some extensive research to ascertain the best restaurant in China Town. Dinner at Lee’s Charming Noodles was fantastic. 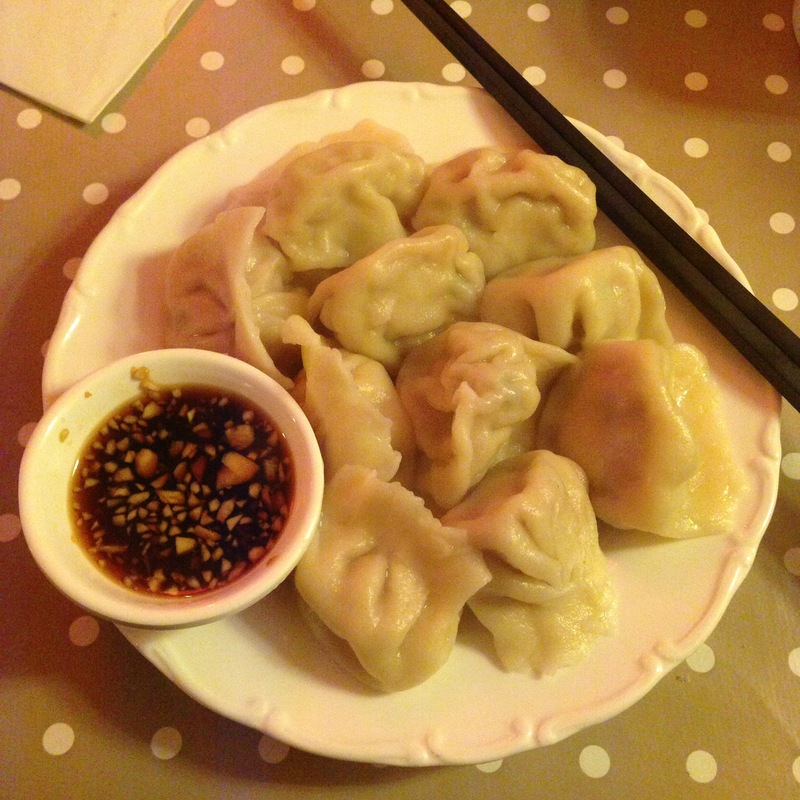 Great pork and cabbage dumplings – a tasty and generous portion. 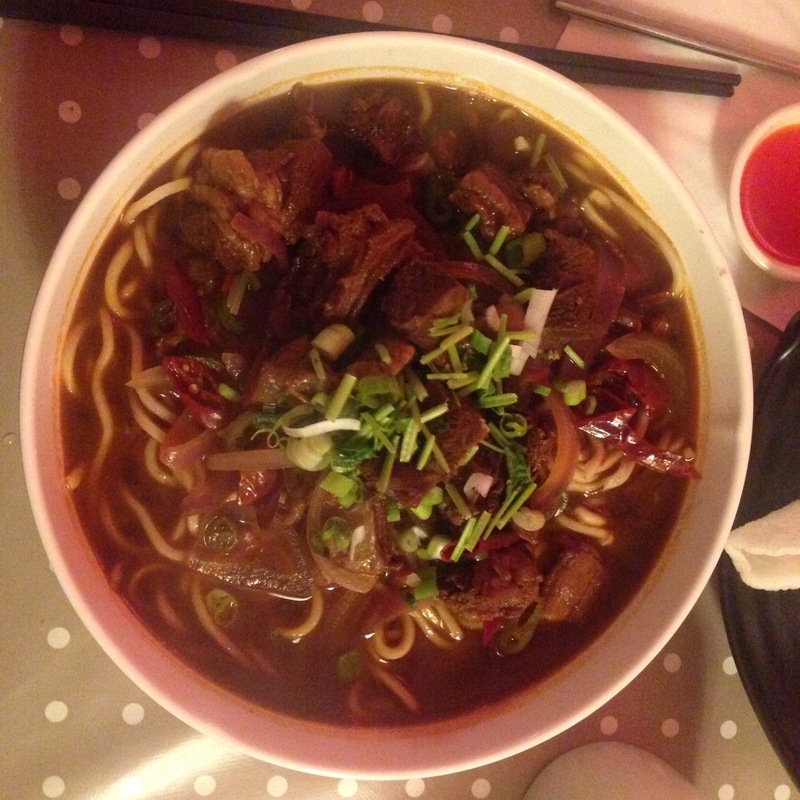 Very tasty braised beef noodles, but I struggled with the chilli! I was very sad to leave most of the dish behind, it was simply too much food after a big hefty lunch. I’d love to go back to this place. The jail had been highly recommended to us by many people. We booked our tickets online in advance – this is advisable given there was no availability for a couple of days. This was a really good tour, very informative and interesting. Seeing the jail cells and hearing the stories made everything feel very ‘real’. There are quite a few museums to visit in Dublin, including the Museum of Modern Art which is just around the corner from the jail. I ended up going to the Archaeology Museum which has an interesting array of relics that includes arrow heads and mummies! I didn’t expect to see any mummies. The cafe at the museum was convenient for lunch. I had the beef and Guinness pie with noodle and potato salad, which was tasty but expensive for what it was. Instead of enjoying more culture in the other nearby museums, I decided to go shopping on Henry street. There were loads of High Street shops and I was surprised to see that most of the prices were higher than in England, even taking into account the recent drop in value of the pound. I still loved looking around and bought myself a handbag. What a great holiday souvenir. Friday morning was pretty relaxed. We wanted to go back to Lee’s Charming Noodles for lunch, but as it hadn’t opened yet, we took a chance with lunch at Kanoodle. In principle, the food here wasn’t bad. But after being spoilt with so much great food in Dublin, I found that the Tom Yum noodle soup wasn’t my favourite meal of the week. With a heavy heart, I took the number 16 bus to the airport for only €3.30! 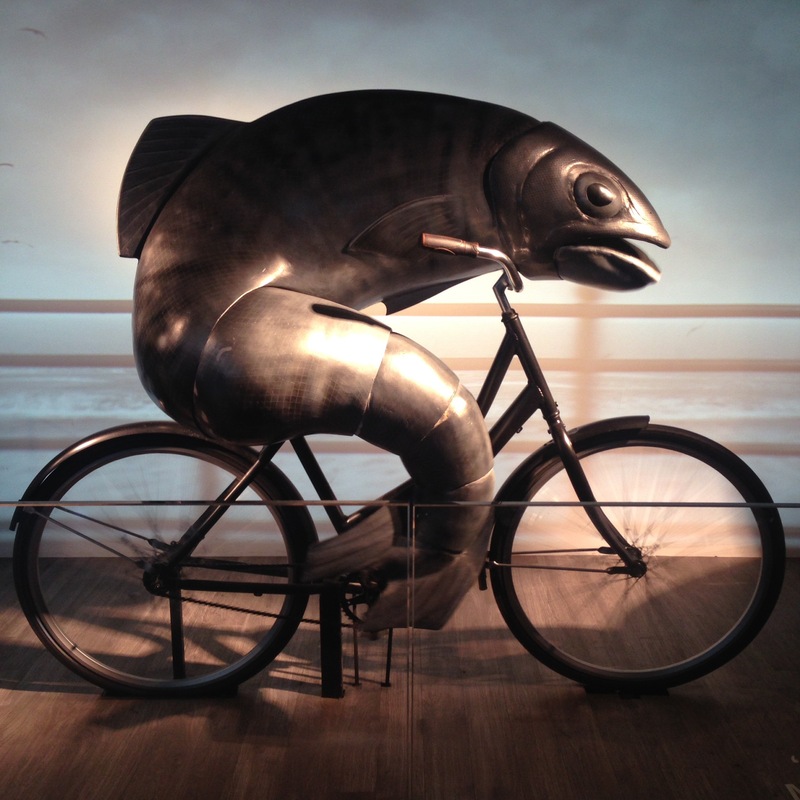 Very reasonable and only 40 minutes away – it made me even sadder to leave Dublin. I was charmed by the friendliness and variety of things to do and places to eat. A very interesting and friendly city. I had a truly awesome time in Dublin and I look forward to going back. Soon. So I can confirm that the joy of being in Costa Rica isn’t necessarily living in the capital San Jose, but more visiting the beautiful beaches and forest areas that Costa Rica is renowned for! I went to Manuel Antonio last weekend to visit a couple of friends, and had a really wonderful time. It takes about 3.5 hours by bus to get there. I stayed at the hostel where my friend works and met lots of wonderful people. I visited some of my favourite restaurants and bars there (Barba Roja, Salsipuedes, Tiquicia and Z bar) as well as the beach and the Feria market. I went to Manchester for the August bank holiday weekend, to visit a friend who moved there recently. I have been to Manchester a couple of times before and always enjoyed it. I booked my tickets on https://www.virgintrains.co.uk/ for a total of £40 return. The train went from London Euston to Manchester Piccadilly where my friend picked me up. We had a little wander through town, I especially liked the Spinningfields area with its cool restaurants and bars. We took an Uber taxi back to her place and chilled out. I really liked the food here. The salt and pepper squid was nice and tasty (not chewy like at a lot of places) the dumplings were tasty, and my main dish of poached mutton in spicy sauce really tested my chilli spectrum! I would have been happy to go back there. I hadn’t heard of this place before, but it is somewhere my friend had been meaning to check out and I was happy to give it a go. It is free to enter, and I was pleasantly surprised by the wide range of art they had on show, including clothes, photos, watercolour paintings and quite random displays. We also had lunch at the gallery’s cafe. My friend and I both had the soup with market salads and bread, which was very tasty. It’s a very nice little cafe, very bright and located amongst the trees of the outside park. Worth a visit. This place has a nice vibe. It was a Sunday afternoon so pretty quiet, but there were some other groups there and the background music added some atmosphere. A good place to catch up for drinks. This is a buffet style Brazilian restaurant where you can help yourself to a buffet of salads, and people come around with freshly grilled/barbecued meats for you to have as much as you want. Good for carnivores. Everything was tasty – especially their sangria! The rest of the trip involved chilling out. On Monday we watched the ‘Adjustment Bureau’ on DVD and ordered some pizza. I took the 3.35pm Virgin train back to London, which was sadly delayed by 45 minutes – I’m going to figure out how to claim a reimbursement! All in all, a good little trip to Manchester. A delightful week of eating well and drinking! On Monday, I booked a table for seven of us to have dinner at Tayyabs. This is a delicious BYOB restaurant near Brick Lane but with much better food – and admittedly worse service! I remember first going to Tayyabs probably about ten years ago, when my sister took me there with some of her friends. It was much, much smaller then. Since then, it has at least quadrupled in size and to be honest, it’s probably a little overrated. The food is always good (especially the lamb chop starters) but I’m pretty sure the service is some of the worst in town. This time we had been waiting for over 30 minutes before the waiter even came to take our order. He forgot to take the order from one person before he left and it was near impossible to get anyone’s attention. It took a further 40 minutes before our food arrived. On the plus side, the food was good! Despite knowing the service here is generally awful, I’m still happy to go back – not too often. The food is reliably good. 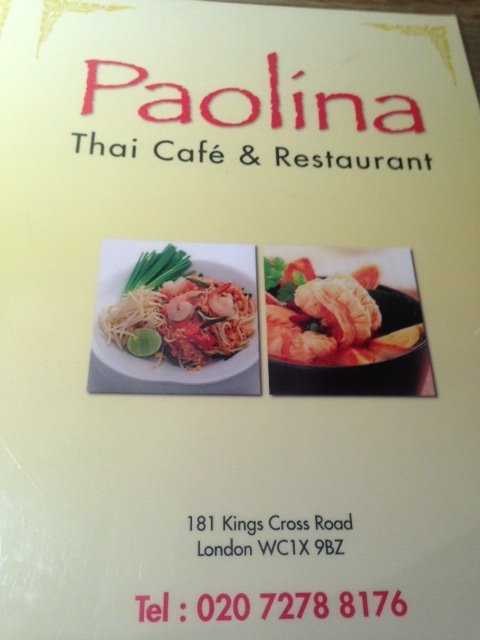 On Thursday I went to a little Thai restaurant near Kings Cross called Paolina. It is a family run small cafe with what I imagine is authentic food (I haven’t been to Thailand yet). It’s very reasonably priced and BYOB. The fish cake starters were really good and my thai green curry was tasty. I’d be happy to go back some time, but it wasn’t especially outstanding. It’s definitely good if you like cosy cafe style restaurants. And to finish the work week – drinks near the office. A friend suggested the Whistling Shop. I hadn’t heard of it before and as a fan of cocktails I was looking forward to checking it out. It’s a speak easy style bar with lots of original drinks. It has a relaxed atmosphere and I was surprised I didn’t about this place given it is next door to the Blueberry bar where I have been for drinks a number of times. A big thumbs up. This was followed by dinner at Meat Liquor near Bond Street. 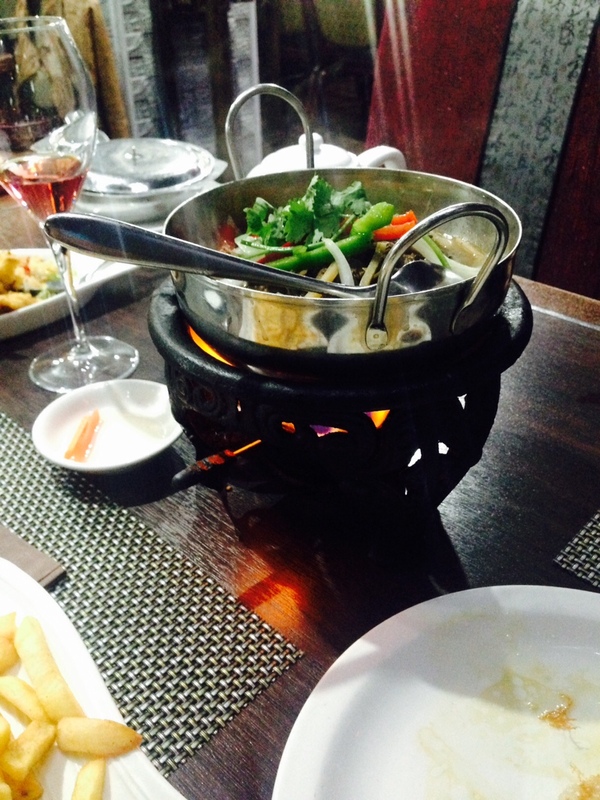 I really like this chain – great trendy atmosphere, service and food. We started with a delightful drink called ‘pickleback’ that consists of a shot of bourbon and a shot of pickle juice. What’s not to like!? For my meal, I had the bingo wings, chilli fries and the red chilli burger. All delish. Followed by a hard ‘white russian shake’ with Kahlua and vodka. SOOOOOOO good. 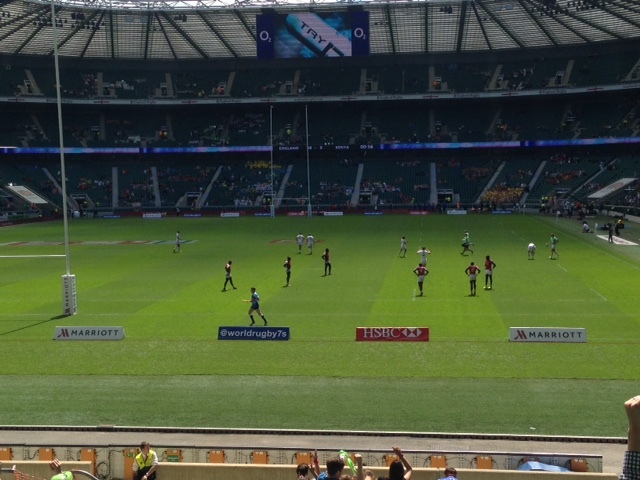 I’ve never watched Rugby before, so when a friend suggested going to see the Rugby 7s live… I said ‘sure’! Tickets came to about £30 each, and I later learned that there is a fancy dress theme each year. 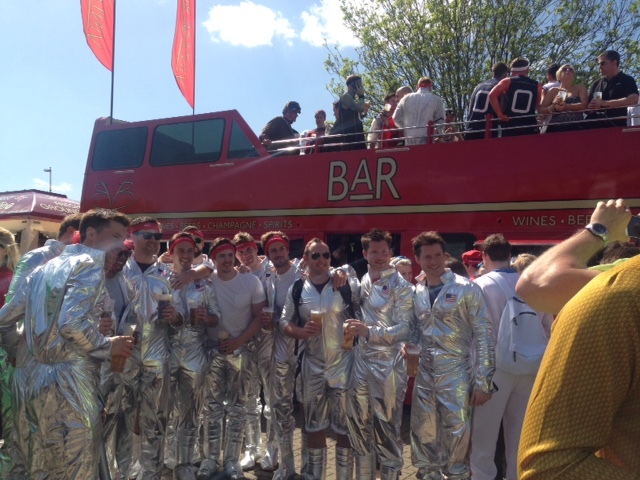 This year the theme was ‘galactic’. I went yesterday with two friends and was surprised that the game was really interesting to watch! It did help that there were lots of fit men running around in shorts. The best thing was the positive and fun vibe. You know when you are surrounded by people dressed as Bananaman, Superman, Jedis, Sailor Moon, Bender or covered in star stickers that when they are drunk, they will probably not be angry drunks. And we walked around a bit too and found an outdoor area with music and a booze bus. 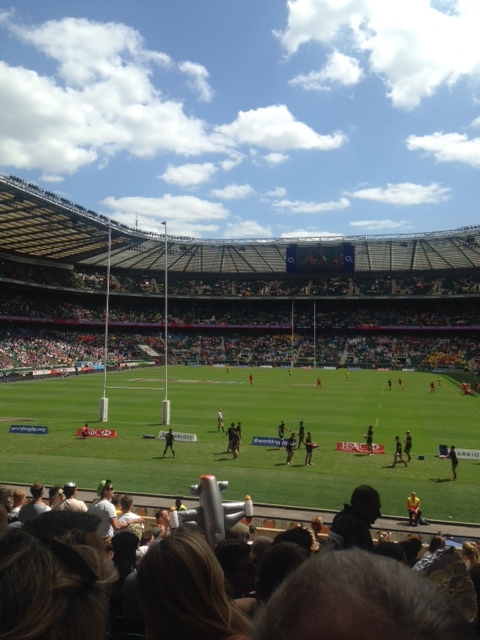 Overall, it was a great sunny day of Rugby and cider and beer with good natured drinkers. 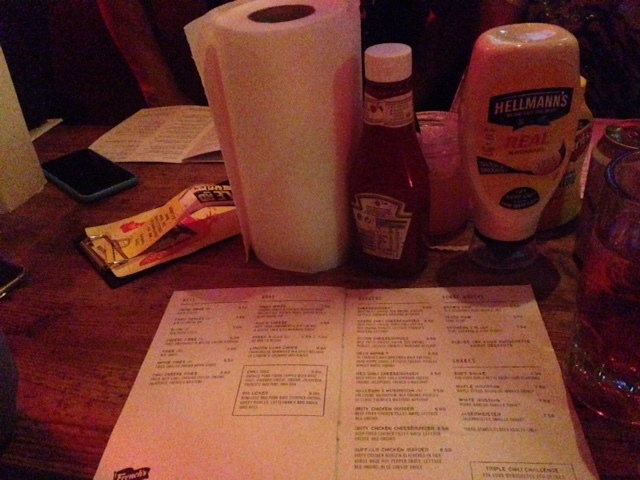 Following the rugby, which finished at 6 pm, we made our way to Clapham Junction for dinner and drinks. Dinner was at Mien Tay, a BYOB cash only Vietnamese restaurant that is about 5 minutes walk from the station. 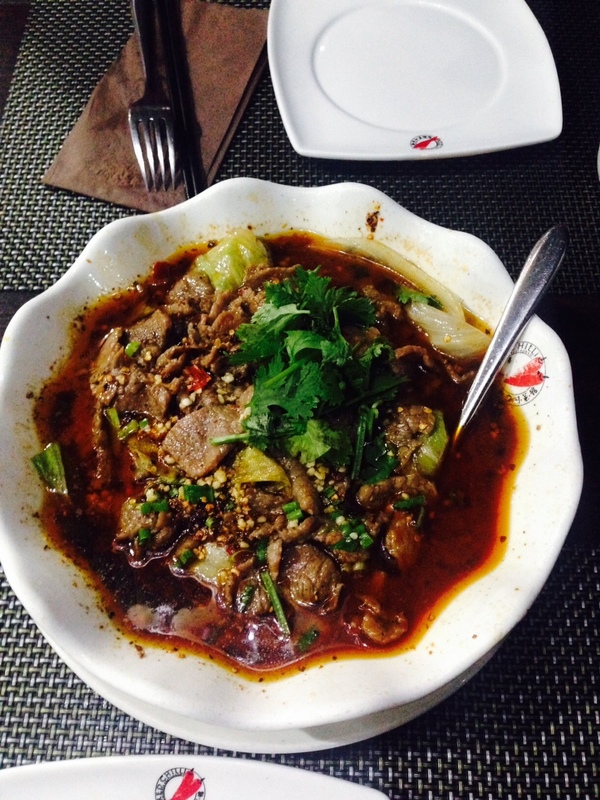 The summer rolls were good but I found my # 61 beef pho to be very bland, so I was a little disappointed with my main.